RH550 wireless monitoring station is an important component of wireless monitoring scheme, responsible for the communication between RH501 wireless detector and enterprise data server, receiving data send by RH501 wireless detector and transmitting to data server, meanwhile, receiving command from data server and send to RH501 wireless detector. Multi Backup data method：Data can be backup to data server by network, or backup on local. A set of RH550D can receive up to 60 sets RH501 collected data. Greatly reduced the prectical implement difficulty of online monitoring, especially for the on site implementation of anti-explosion fields. Used to collect acceleration、velocity、displacement and waveform data, with maximal 6400 lines spectrum analysis capacity. 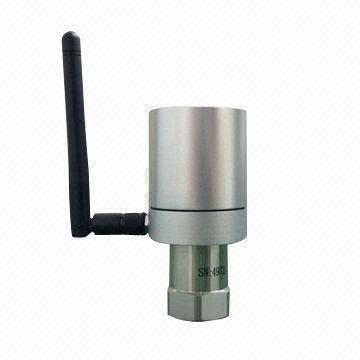 Assigned 2.4GHz free frequency span as communication transmissions, powerful anti-jamming performance, more convenient for industrial on site using. 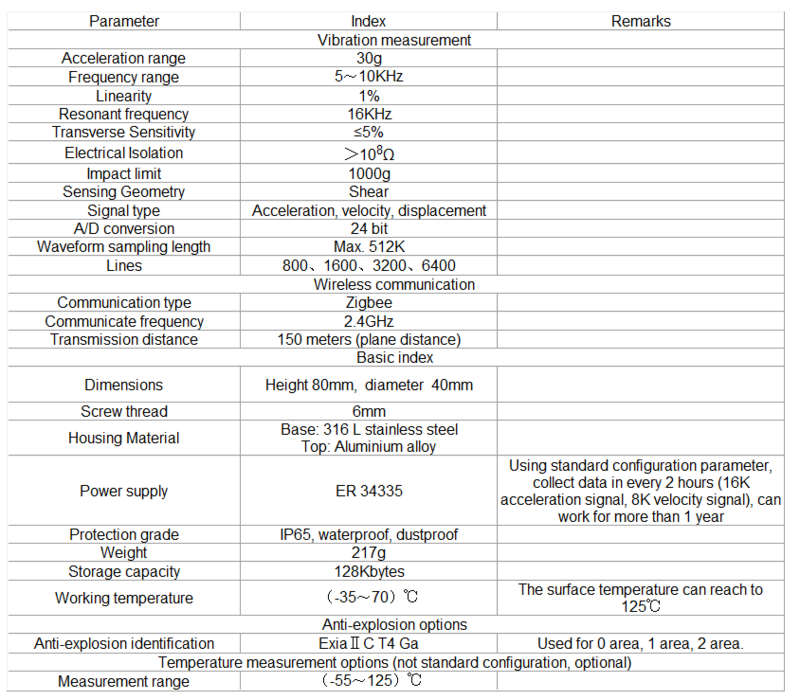 Design of the lower consumption; use recommended standard configuration, continuous to work for more than one year. Small size, very convenient to mounting on various industrial fields. Possess high capacity and “black box” function.